When you’re looking for the perfect balance between accessible features in an affordably priced washing machine, Samsung is a great choice. 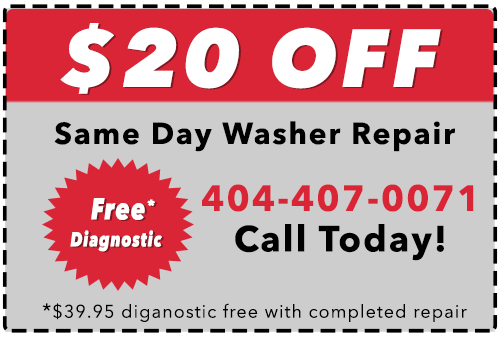 When you need same-day availability and fair prices, choose It Is Fixed Appliance Repair. 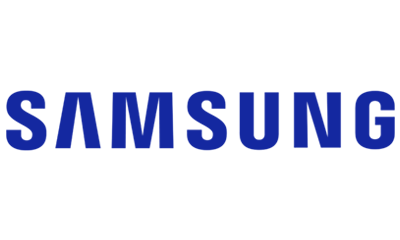 Our Samsung washing machine repair specialists are on-call seven days a week. We know Samsung products inside and out. We protect your investment by providing the best service possible with exactly the right tools and parts needed for the job. Get great service and prices! Call or book online now! 5E Won’t drain If water from your washer drains slowly (within 15 minutes) then first check the drain hose for any kinks or clogs, remove any kinks found and flushing the drain to remove any clogs in the drain line. Also check the large item filter and ensure it has no obstructions. If this doesn’t fix the issue then there may be a clog in the drain pump, remove any clogs if any. Unplug the washer and check the wiring between the drain pump and the electronic control board. If the wiring is okay then replace the drain pump. LO Door unlock error This error occurs if the door does not unlock after 7 attempts. Unplug the washer and attempt to open the door. If force is needed to open the door then the door lock/switch assembly will need to be replaced. 4E Water fill problem This error shows if it takes longer than 40 minutes to fill the washer or if the water level does not change after 6 minutes. Ensure that the cold and hot water inlet valves are set to the fully open position, then check the inlet hoses to make sure no kinks are present. Inspect the water inlet valve assembly to see if it can open and close when actuated. If the valve assembly is stuck then replace the valve assembly. dE1 Door lock error This error occurs if the door does not lock after 7 attempts. Unplug the washer and inspect the wiring between the door lock assembly and the main control board. If the wiring is okay then replace the door lock assembly. If this doesn’t fix the issue then replace the main control board. LE Low water level This error appears when the water level is below the reset level sensor during wash and rinse cycles. Check the washer tub for leaks and inspect the drain hoses for damage. If no water leakage is found then replace the water level sensor. 1E Water level sensor failure This indicates a failure of the water level sensor. Unplug the washer and check the wiring between the water level sensor and the main control board. If the wiring is okay then replace the water level sensor. OE Water overflow If the washer is overfilled: Unplug the washer and observe if the water into the washer shuts off. If water continues to fill the tub even when unplugged then replace the inlet water valve assembly. If the washer is underfilled then replace the water level sensor as it is erroneously reporting an overflow condition. UE Unbalanced load This error code occurs when there is an unbalanced load in the washer and the washer will not spin over 150 rpm while this code is active. Stop the cycle and remove excess garments. Redistribute the remaining garments evenly around the washer. Ensure that the washer is level. Start the cycle again after the load is evenly distributed. Note that if the load is too small then clothes may need to be added for proper balance. If the washer violently shakes and bangs during the spin cycle then this may be indicative of worn suspension rods and spring assemblies. Replace these if the load continually becomes unbalanced during normal operation. bE2 Stuck button Try to manually free the stuck button by pressing down directly on all keys of the control panel to try to unstick the stuck key. If the button can’t be unstuck then unplug the washer, remove the display control board, and replace it. ds The door is open during locking Use the onboard Samsung diagnostic test mode to see if the washer detects the door closing prior to the beginning of the wash cycle. If the door is closed but the washer states that it is open then replace the door lock/switch assembly. tE1 Water temperature is too high or too low If the water temperature is erroneous then use the onboard Samsung diagnostic test mode to measure the water while simultaneously using a regular thermometer. If the temperatures do not match then replace the temperature sensor. 3E No signal from the drive motor tachometer This error indicates that connection between the drive motor and the control board was lost. First unplug the washer. Check the wired connections between the main control board and the drive motor. If the wiring is okay, then remove the drive motor and replace the drive motor. If the problem persists then replace the main control board. Hr Heater relay failure This is an error in the heater relay. Unplug the washer and wait for five minutes then plug the washer back in. If the error code persists then remove and replace the main control board. 4E2 Hot and cold water connections are reversed Ensure that the washer is fully drained. Then fully close both the inlet cold and hot water valves. Disconnect the hoses and reverse their connections. Fully open the inlet cold and hot water valves and restart the cycle. SF Internal control board failure This error shows when there is a fault within the main control board. Unplug the washer and wait for five minutes. Replug the washer and start a cycle. If the error code persists then replace the main control board. SUd Excessive suds This code occurs when there are too much suds in the washer during a wash cycle. It can also occur if the drainpipe is constricted or kinked. Remove any kinks if found. The washer will enter a “suds kill” cycle automatically. The suds will gradually be removed as the cycle completes. For best results use the correct amount of High Efficiency (HE) detergent. Don’t use chlorine bleach as these typically have additives such as surfactants that create excess suds. Use regular bleach if bleach is needed. AE Communication error between the main control board and the display control board This error indicates an electronics communications problem. Unplug the washer and inspect the wired connections between the display control board and the main control board. If the wiring is okay then replace the display control board. If the problem persists then replace the main control board.